The beautiful pleated design of this cushion cover will elegantly refurbish your sofas. Its mulberry Colour is very vibrant and will surely spruce up any dull looking interior. Available in single size, this sumptuous cushion cover is made up of 100% polyester and will surely furnish you heavenly comfort and support. Its smooth fabric is perfect for pampering your skin. 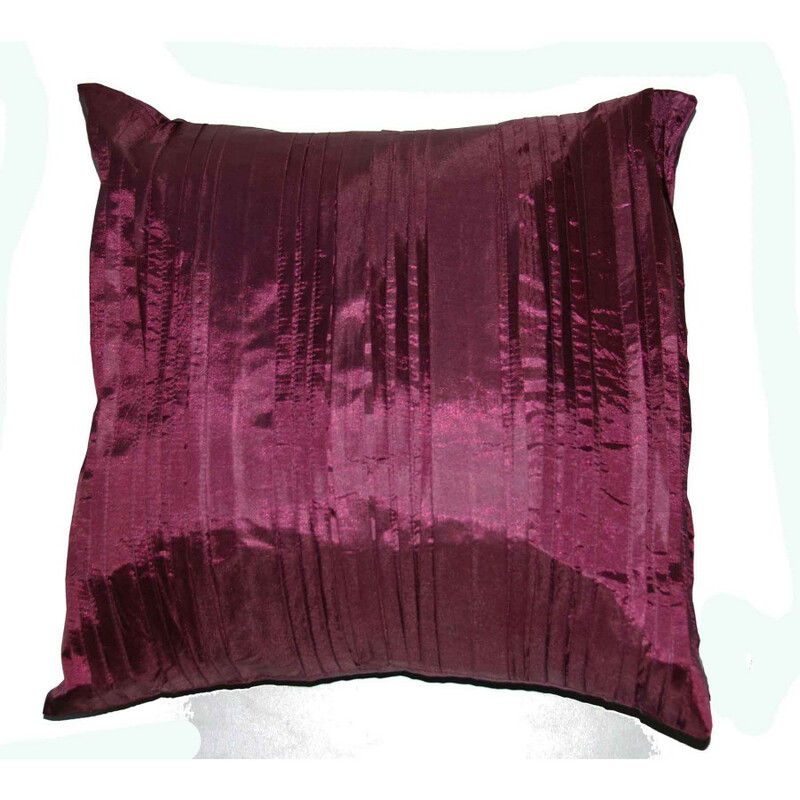 This pleated faux silk cushion cover can be dry clean, perfect for everyday use.